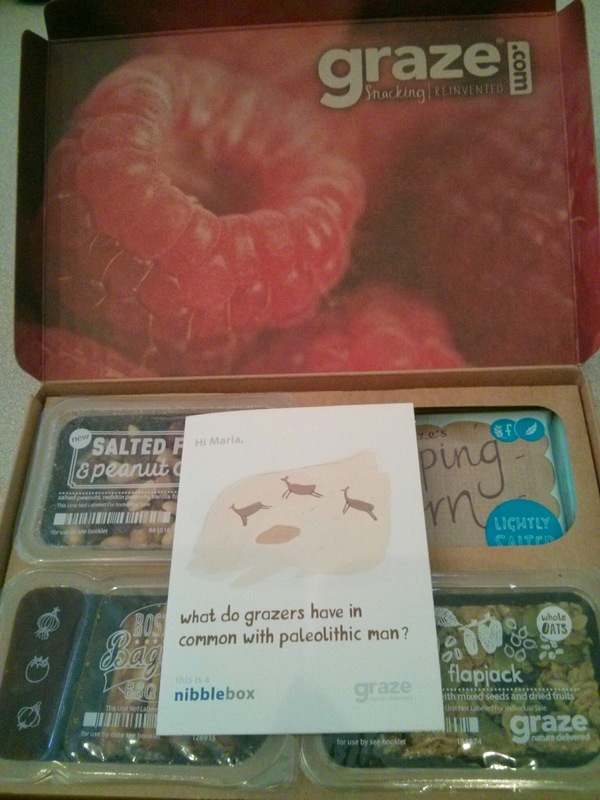 It's been a few weeks since I've done a Graze box review. Last time, I had lamented over the black pepper popcorn and hoped that I would get the lightly salted version soon...well, look what was in this box! 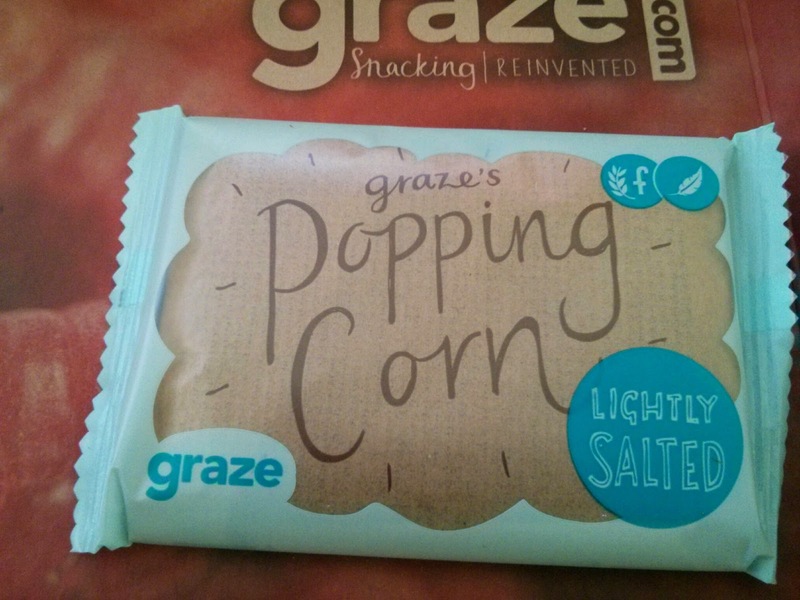 A lightly salted popcorn, as well as three other snacks I liked! 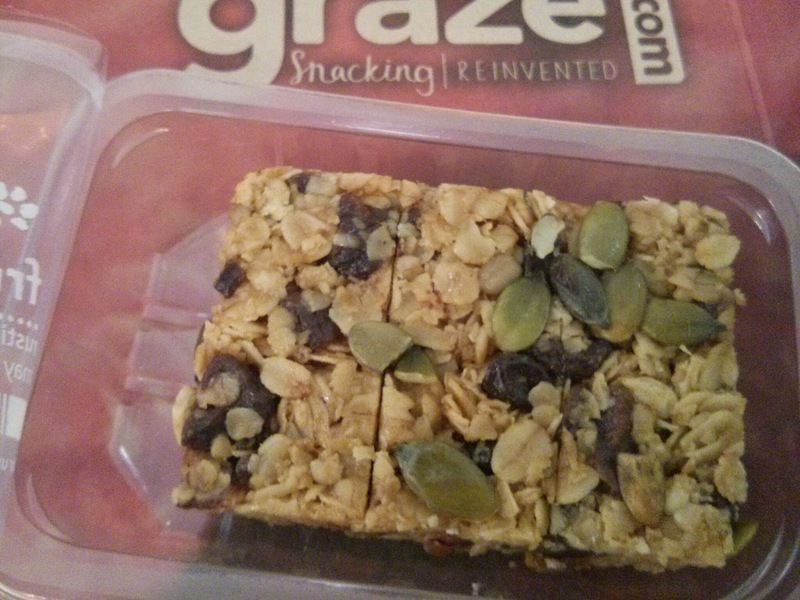 You guys all know I love these flapjack things. The seeds one isn't quite as good as some of the others (cough-the chocolate one-cough) but it's still pretty darn good. 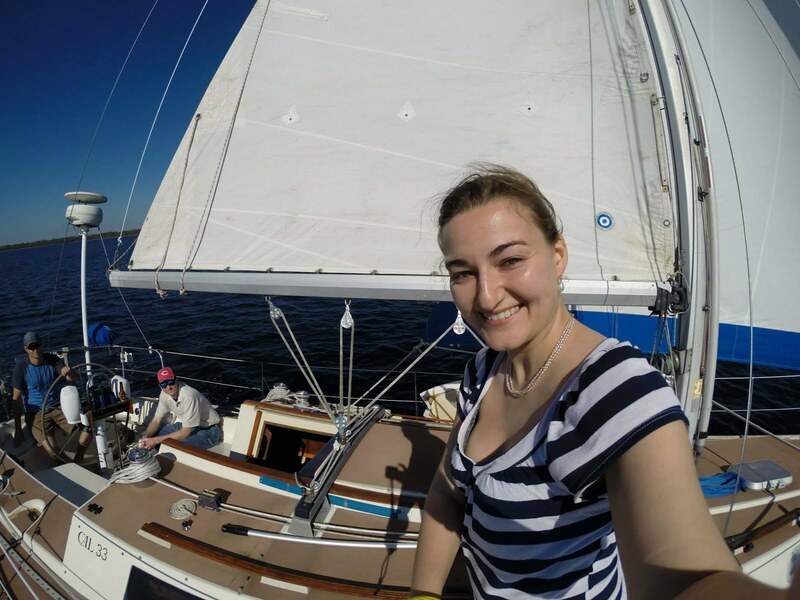 This one was new! I really like the mini chocolate cookies (why does that surprise no one?) but I liked the fudge and peanuts in there too. 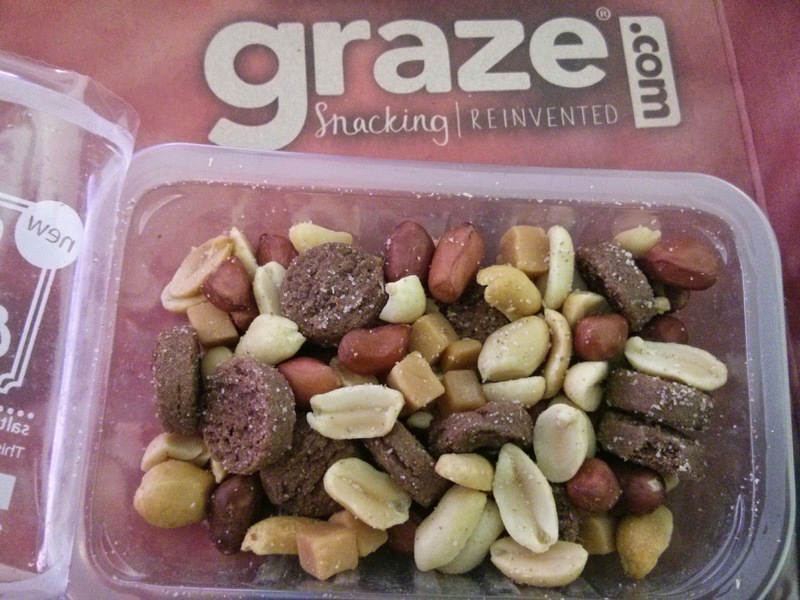 Graze does a great job at these mixes. I've had this before and liked it then, just as I liked it now. 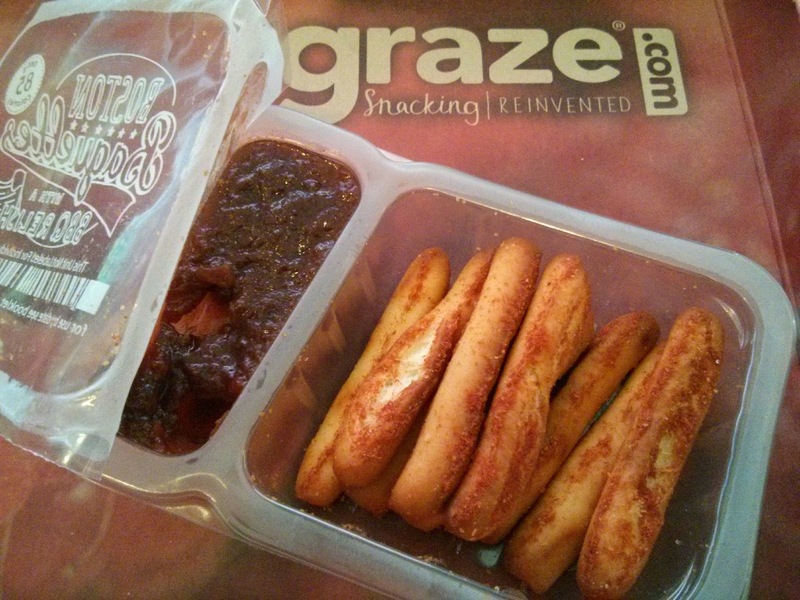 The bbq sauce is a little smokey and a little sweet and goes great with the baguettes. And of course I loved the popcorn. Everyone at work was jealous after I popped this bag. The lightly salted is the way to go. 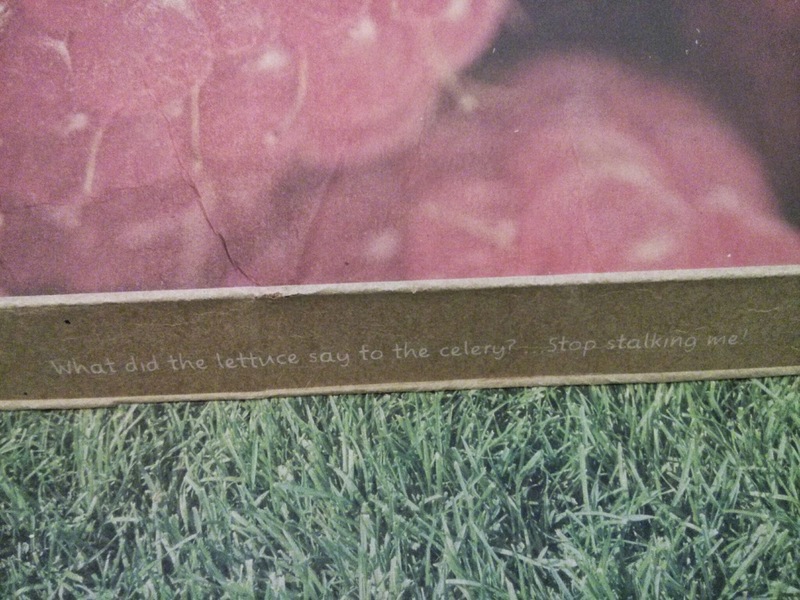 "What did the lettuce say to the celery?"